In a time when we increasingly hear about the loss of rainforests and green space, wildlife habitat and species, and with more of us concerned about purchasing sustainable and fair trade products, it is difficult for the average consumer of Frankincense essential oil and resin to get a clear answer from anyone about the state of these desert trees in the world. Are they thriving? Are they declining in numbers like many other species? Are they properly tended? Are they being sustainably harvested? Are the people and communities that traditionally rely on the harvest adequately compensated, are they also thriving? Will there still be Frankincense trees, resin, and essential oil in another 10 or 100 years? If not, is anyone doing anything about it? Much of our education about essential oils comes from essential oil companies whose collective profit from selling us Frankincense essential oil is measured in millions of dollars. One might wonder if an unbiased and independent examination of the trade in Frankincense would provide different answers to our questions about ethics and sustainability. As consumers, we have enormous power to effect change in the world. But we can’t make informed choices unless we have accurate information. The bad news about our Frankincense trees. With a growing demand and poor management on our part, our supply of Frankincense from around the world is shrinking at an alarming rate. Trees are dying much faster than they can reproduce. Little is being done to reverse the trend, address the problems, or remedy the situation. The future of Frankincense is getting bleaker by the moment. It is safe to say, that beyond minor variations, the Frankincense trees in all these countries are disappearing for the same reasons. 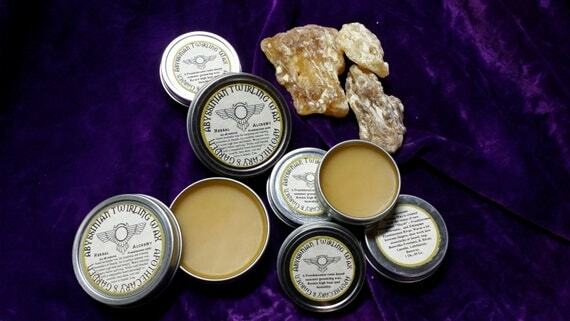 Even as, or perhaps because, our world demand for Frankincense is steadily increasing. 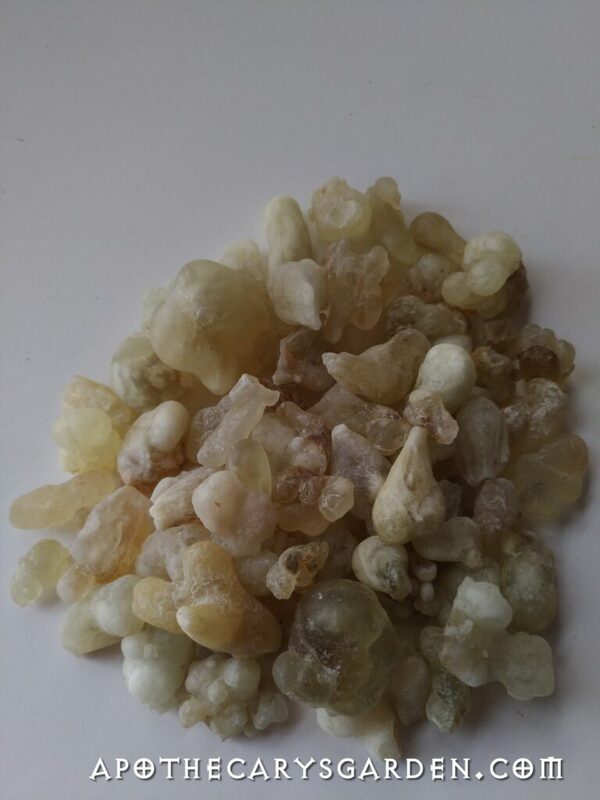 Currently, all Frankincense and Myrrh resins are harvested from wild trees. 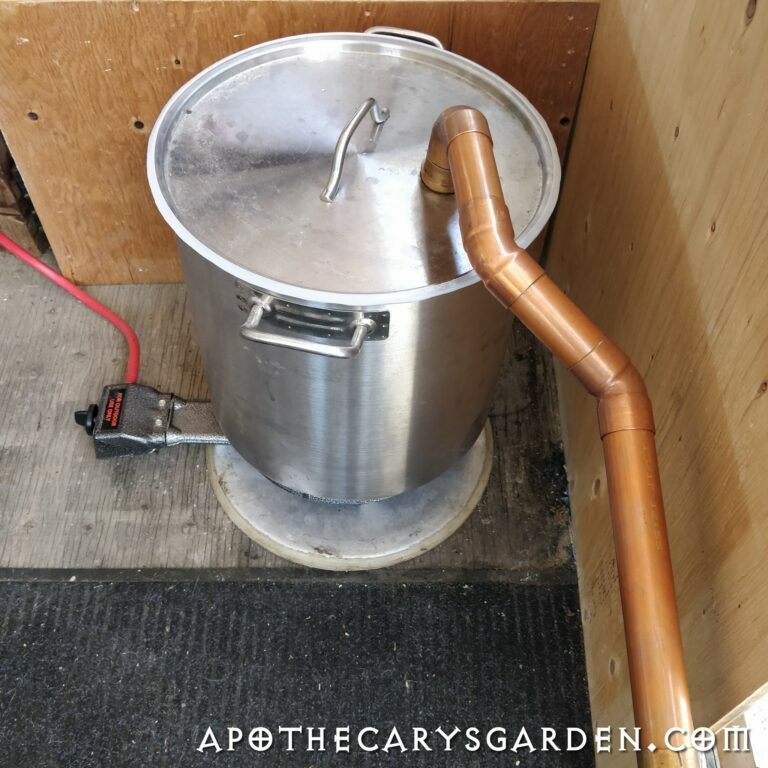 There are no functional agricultural plantations, reforestation, or propagation programs of that can take some of the pressure off the wild stock. An exception is Guy Erlich’s Balm of Gilead farm, which is home to a thriving plantation of Frankincense Sacra trees by the Dead Sea in Israel. Though his orchard is steadily expanding, it may be decades before his trees produce a meaningful amount of resin. The factors contributing to the decline of wild Frankincense and Myrrh trees stem mainly from poor management on our part. In 2011, a study done in neighboring Ethiopia projected 90% of Ethiopia’s Frankincense trees would be gone within 50 years. This conclusion was based solely on the impact of insects, wildfires, agricultural encroachment, collection for charcoal, and grazing. It did not factor in the loss of trees from unsustainable harvesting practices. Community concern for the trees and the trade is escalating. 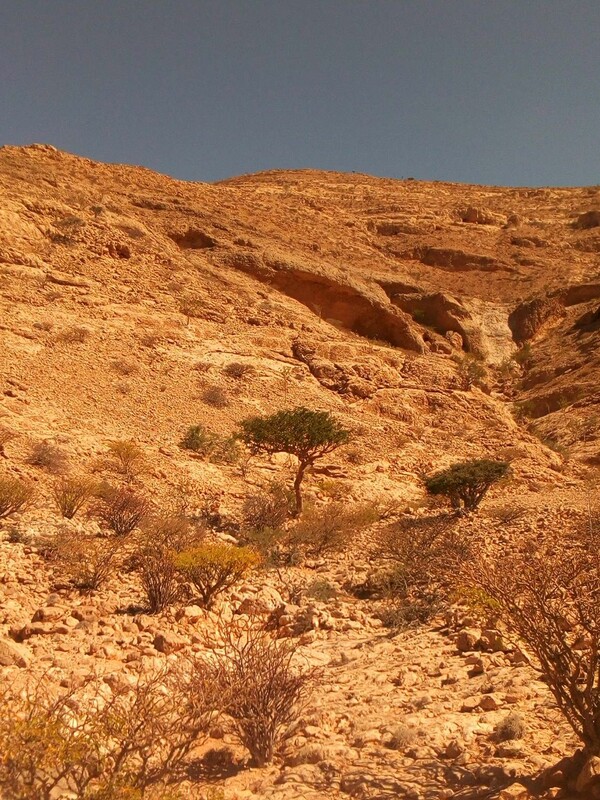 The effects of a loss of Frankincense trees run deeper than just scarcity and higher prices for us. Communities throughout the harvesting regions depend on the yearly harvest and in many cases, it provides their sole source of income and livelihood for the year. These are indigenous cultures that have developed close cultural identities with the trees over centuries. Frankincense and Myrrh trees often have a special sociocultural status and are woven deeply into local traditions. It is not uncommon sees individual Frankincense trees that have been preserved and left untapped for decades to be given as dowry. If the Frankincense trees are lost, the communities which depend on them will lose their ancient ties to the land, their cultural identity, history, and heritage. They will become displaced refugees, seeking new lives and livelihoods in the cities and towns. A recent study done by Dr. Anjanette DeCarlo in Somaliland indicates a sharp increase in our demand for Frankincense essential oil the past decade has compounded the stress on the already declining tree population and accelerated their deterioration. In other words, our supply of Frankincense resin is growing smaller, even as our demand for it grows. Dr. DeCarlo reports a noticeable increase in dead and dying trees compared to a visit she made 6 years ago. I would assume this trend is felt in all Frankincense harvesting regions since the demand for the essential oil is unilateral. We are rushing blindly towards a collapse of the trade in Frankincense and Myrrh. If we don’t wake up and do something about it soon, it will be too late. Dead Frankincense and Myrrh trees. Over-tapped they soon succumb to insects and pathogens. Other findings that Dr. DeCarlo shares in her reports are an increase in over harvesting, improper tapping methods, harvesting from immature trees, and the decline in quality of resin from stressed trees. Instead of being tapped in the traditional manner, with a tool called a Mingaaf, with 6-8 cuts each summer for two years, then rested for one, many trees are cut continuously with machetes year round, up to 100 cuts, summer and winter, year after year. Not only do they yield less resin and lower quality resin the more they are tapped, but the trees have no time to rest and regain their strength. This makes them vulnerable to attack by the longhorn beetle and pathogens it brings with it. Over-harvesting also drastically reduces the germination rate of their seeds, making it unlikely they will be able to reproduce. When they can no longer yield resin, their bark is stripped and sold as low-grade incense material which is a death sentence for the tree. Though this is likely the work of poachers, it is transforming the landscape in many areas. Dr. Decarlo recently visited 10 out of 40 major harvesting centers in Somaliland, traveling great distances inland up the mountains to revisit the trees and the harvesters. She discovered that in some areas, traditional harvesting methods were still implemented and in others, large tracts of both Myrrh and Frankincense trees had been over-harvested to the point of death to meet the increased market demand. After excessive tapping, the bark is often stripped and sold as inferior incense material. If not addressed and corrected, these trends indicate we will soon see the end of our Frankincense supply. Considering it takes 30-50 years for the trees to reach harvesting age in the wild, we are already in the middle of a serious supply crisis. We just don’t feel it yet. In an ideal world, we would have started replanting and reforestation programs in all resin harvesting regions a long time ago. A tagged tree that was thriving 6 years ago will soon be dead, decades prematurely. We live in a garden world of medicinal and aromatic plants, and regardless of boundaries, borders, politics, languages, religions and cultures, we all share it, for better or worse. These problems belong to all of us. As do their solutions. Since we in the West have most of the financial resources in the world, it is we who have the power and responsibility to change things for the better. Especially in poorer and less developed countries. Dr. DeCarlo revisits harvesters in Somaliland. The good news about Frankincense is Dr. Anjanette DeCarlo. She is not just a trained researcher, but a seasoned activist. At this point, it is clear that only carefully planned and executed action can save our Frankincense and Myrrh trees from the brink of extinction. Funded in part by socially responsible companies concerned with issues of sustainability and fair trade in the products they sell, Dr. DeCarlo is conducting in-depth, open-source studies of the Frankincense trade in Somaliland. She has identified problems, graphed the trends and is developing solutions that could work to not only save the existing Frankincense trees but regenerate this precious resource over time. Open source, in this case, means the results of her studies are public. Open and accessible to all. I strongly urge you to watch the video below and follow her future work closely. 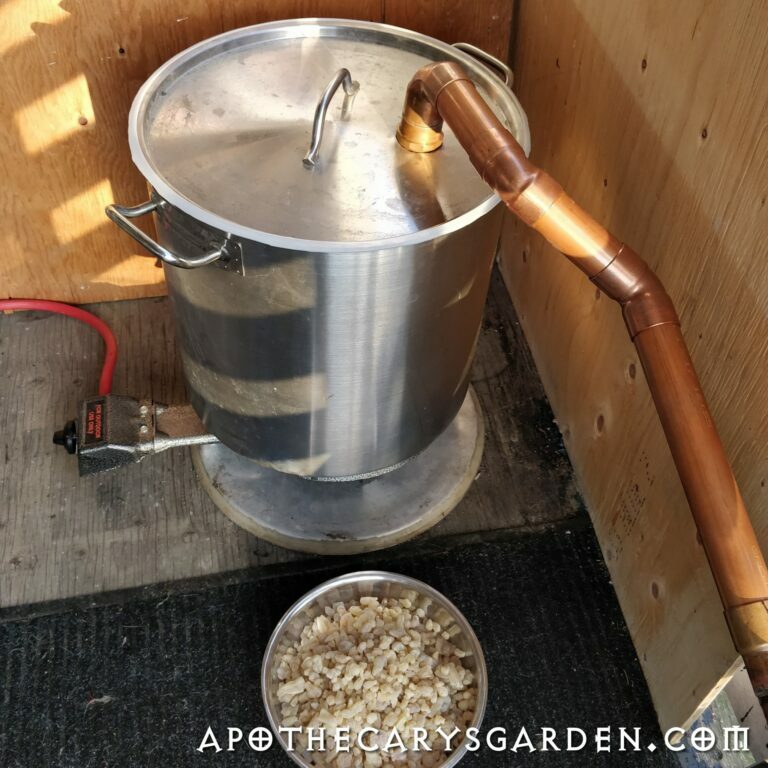 Especially if you want to become an educated consumer and make informed decisions that will contribute to the health and well-being of the world’s Frankincense and Myrrh trees. With the right information and guidance, we can all make a difference. Somalia and Somaliland are home to the world’s largest Frankincense “forest” and have been supplying the Western world with its Frankincense and Myrrh since before we learned to write the words Frankincense and Myrrh in our ancient texts and tomes. Most of these Frankincense and Myrrh forests are found in the Sanaag region which stretches between Somalia and Somaliland. Cal Madow is a very special part of this area. The Cal Madow mountain range catches and precipitates the mists and clouds from the Red Sea and the Gulf of Aden, making it the lushest area in the region. It is home to cliff hanging forests of Frankincense and valley groves of Myrrh trees, rare species of animals, birds, and plants found nowhere else in the world. Desertification is spreading steadily throughout the region and Cal Madow. Cal Madow is quickly succumbing to loss and degradation from the same human encroachment and poor management that we see in other resource-rich and unprotected areas of the world. It needs to be conserved before it is lost along with its Frankincense forests and groves of Myrrh. The deteriorating state of this beautiful green zone makes it a symbol of everything that is wrong with the current trade in Frankincense and an ideal place to start rectifying the loss of Frankincense trees and their natural environment before it is too late. Cal Madow needs to be designated a UNESCO world heritage site, but since Somaliland has not received UN recognition as an independent country, this type of global assistance and protection is not yet available. So what can we do in the meantime? Dr. DeCarlo has established the “Conserve the CalMadow” website where you will find more information on her work. She has also set up Conserve the Cal Madow Facebook page which is a place where everyone, including local residents, can involve themselves in the conservation efforts. If solutions developed through her research are successful in Cal Madow and Somaliland, they can be implemented in other Frankincense growing regions. Then, we might have a chance to stop the loss of our Frankincense and Myrrh trees before it is too late, while preserving this unique natural resource. What can we, as concerned consumers, do about the demise of our Frankincense trees? Many of us, as Western consumers, don’t realize the power we hold in our hands as a group. Our opinion, public opinion, can make or break businesses, corporations, and even governments. Every individual “Like”, “Share”, and purchase we make online shapes the world around us, and collectively, our power is immeasurable. So, now that you are a little more educated about the condition of our world’s Frankincense trees and have a clearer idea of what their future looks like, you might ask yourself, what can I do as an informed consumer to help reverse the damage and create a sustainable source of Frankincense for everyone before it is too late? Frankincense Frereana and Carterii trees have a love of sheer rock faces making resin collection perilous for harvesters. Every year harvesters are injured or killed from falls and snakebites. First of all, Dr. DeCarlo is organizing first aid kits for harvesters. Frankincense Frereana and Carterii prefer to grow right out of the rock often on vertical cliff faces. The work of tapping and collecting the resin is extremely dangerous. Every year harvesters are injured and killed from falls and poisonous snake bites. They have no medical facilities and lack even basic first aid products. We can’t help the trees without helping their harvesters. Providing the harvesters with first aid kits and minimal medical care is something any one of us can do. From March to the end of April, Dr. Decarlo will collect donations of first aid kits that she can distribute to the harvesters when she returns to Somaliland in May. Kits can be sent to the project’s talented research assistant, Stephen Johnson at-Conserve CalMadow C/O Stephen Johnson 4670 144th PL SE, Bellevue, WA 98006. This is the first in a series of projects that are geared to improve conditions for both the harvesters and the Frankincense trees. If you would like to help make changes in this industry, this is a good place to start. Providing rudimentary climbing and safety gear, snake proof shin guards and access to anti-venom are a few of the future projects on her list. Ask your suppliers of Frankincense resin and essential oil whether their products are ethically and sustainably sourced. If not, invest your world-changing purchasing power with a company that actively supports sustainability and fair trade. As individual consumers, it is up to us to put pressure on our suppliers to be part of the solution and not the problem. Like and follow Dr. DeCarlos “Conserve Cal Madow” Facebook page. In our world where each click, share and like, translates into trends of public opinion, these small actions are accumulative and send ripples of potential change through the world. Add your voice to the call for action. Keep your eye on Dr. DeCarlo’s Conserve the CalMadow Facebook page so you can keep abreast of developments and further tangible actions you can take to help the Frankincense trees and the harvester communities who depend on them. She will need your support to make real changes in the industry. Educate yourself then pass it on. The more of us that “hear the trees falling” and are aware of the current state of affairs in the world of resins and essential oils, medicinal and aromatic plants, the more power we have as a community that can create positive change. Educate others. If you want to help this project in a more direct way and can volunteer your time, you can contact Dr. DeCarlo at-somalilandconservation@gmail.com. I usually don’t post shop listings on the blog and make an effort to keep the sales pitch to a bare minimum here. However, there is a lot of important information in this particular shop listing and I don’t want to write it all again for the blog. Not so much lazy as I seem to have less and less time for some reason. 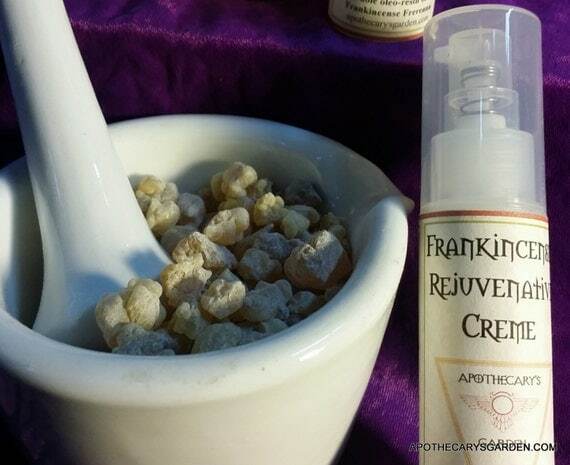 Many blog readers still ask me if I have a shop where they can buy the Frankincense products I write about, so I will take this as an opportunity to be more overt about it. 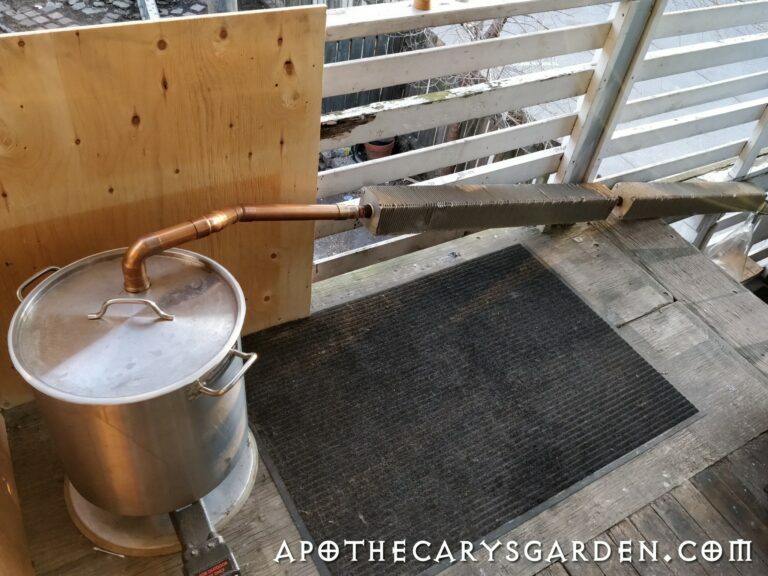 Here is a link to my Etsy shop-https://www.etsy.com/ca/shop/ApothecarysGarden. It is full of beautiful, sustainably sourced, high quality fragrant and healing stuff. Buy something :-)! Boswellia neglecta thurimellis- Somalia, Co-op harvested.